Historically Facebook kept mobile visitors as a second priority over desktop visitors . As late as 2009 end Facebook iPhone app development team had a single member. Facebook has been moving more and more towards mobile culture for the last 24 months. In 2013 Q4 Facebook announced 78% of all their users are coming to Facebook through mobile devices. A better monetization of mobile visitors in the recent months resulted in a spike in FB stock in 1Q 2014. Even after these users proven to be so vital for FB platform, Facebook have not yet started supporting fanpage apps on mobile devices. Mobile support of fanpage apps is important for businesses who setup fanpages and spend money and effort to engage with their clients. I am sure FB will figure out a way to do this.We want to allow Ravox facebook stores to reach their customers through mobile devices as well. We have been waiting for facebook to allow developers to create apps to support the mobile platforms. This was one of the reasons why facebook commerce failed in 2011 according to Christian Taylor, founder of Payvment. 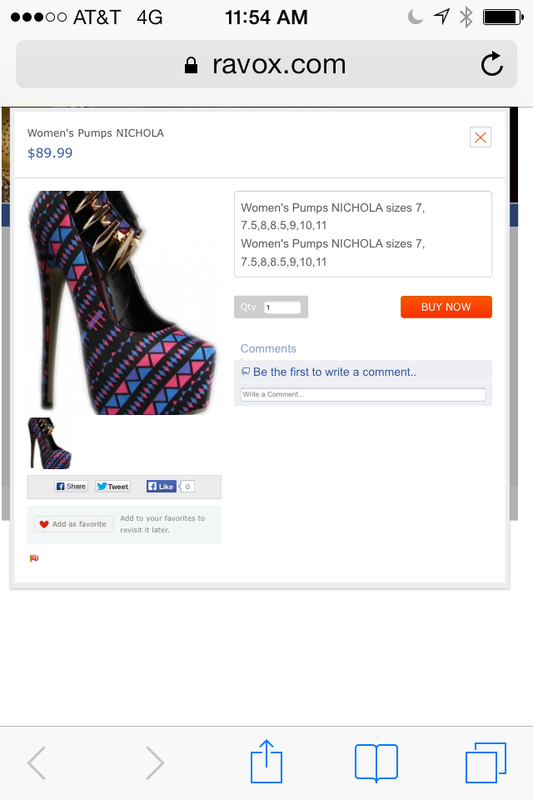 We explained other reasons in another article called what’s wrong with Facebook commerce. We are tired of waiting. So we did any developer would do. We created a work around for the mobile compatibility problem. Anytime a customer clicks on a link shared by the store owner , one our fans or affiliates, it will go to storefront outside of Facebook. This allows the user to continue to engage and buy as a desktop user would. Earlier when a mobile user clicks a link to the Facebook store, it would just lead to your Facebook fanpage home leaving the customer to wonder what she did wrong. Most of the other Facebook stores platforms still behave this way. I agree this is not as good as facebook supporting fanpage apps for the platform. But this is a close second. We released this capability two weeks back and is available in all Ravox facebook stores. We have been monitoring sales and visits through mobile devices. So far it is around 7% of the total views. These numbers depend on how often you share the product posts from the Ravox admin panel. The more store owners share the products through fanpage timeline, share of mobile will increase in page views, engagements and sales. If you do not have a facebook storefront or you are with a provider still don’t support the 78% of your visitors, go ahead and create a free facebook store.